بني في , Takapuna Beach Holiday Park هو ميزة مُضافة لـ أوكلاند و خيار ذكي للمسافرين. يسهل الوصول إلى هذا الفندق ذو 4 نجوم من المطار، فهو يبعد عنه مسافة فقط. بالنسبة لمن يريد الخروج، هذه بعض المعالم السياحية المتوفرة للزوار تاكابونا, Milford Family Medical Centre, توف كراتر ريسيرف. إن Takapuna Beach Holiday Park حريص على توفير الراحة للنزلاء، فلا يوفر الموظفون جهداً في تقديم أفضل الخدمات وضمان حسن الاستقبال. يقدم الفندق فرصة للاستمتاع بشريحة واسعة من الخدمات بما فيها: خدمة سيارات الأجرة, تسجيل وصول/خروج سريع, واي فاي في المناطق العامة, صف السيارات, خدمة غسيل الملابس . في الفندق غرف نوم يتجاوز عددها 19، كلها مجهزة بعناية وجمال وبعضها مزود بـ اتصال لاسلكي بالإنترنت, غرف لغير المدخنين, شرفة/ تراس, تلفزيون, أدوات مطبخ. صممت خدمات الاستجمام في الفندق والتي تتضمن مسار جولف - ضمن 3 كم, حديقة, رياضات مائية (غير آلية) لمساعدتك على الاسترخاء والراحة. إن Takapuna Beach Holiday Park هو خيار ذكي بالنسبة للمسافرين إلى أوكلاند، بما يوفره من إقامة هادئة ومرحة. عند حجز كرفان أو كبينة مطبخ عائلية، لا يتوفر بداخلهم أي أسرّة، ولكن يتم تقديم أغطية مناسبة للنوم مع وسائد بالإضافة لأغطية الوسائد مجاناً. Took a motel unit looking out over the caravans etc to the sea and Rangitoto - a good view of it. 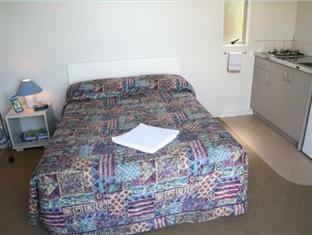 The unit was spacious, airy, very clean, and the bed extremely comfortable. No frills, just everything that you might need. Quiet with great walks available on the beach or round the rocks. Very pleasant friendly reception staff. Exceptionally central to Takapuna shopping and buses. We had one of the studio units for two nights. It was great to wake up with the sea view through the windows. The unit was fine for us, in terms of spaciousness, cleanliness, and amenities for cooking. I seem to remember a lack of an electric outlet in the bathroom (a common thing in NZ, it seems). Lovely place to stay, right on the beautiful beach. Great cafe next door and shops and bars just a few minutes away. If there was wifi throughout the site it would be perfection, as it was you had to walk a few steps to a caravan to access it. Helpful staff. I first stayed here in 1959 - 1961 with my parents while taking me out for Free Sunday from boarding school so it is pretty old. The facilities are old but clean and well serviced. The location is a dream. Couldn't get into the laundry. Got back from sailing regatta at 8.30 and laundry was locked and no one at office. I ended up having to wash it all in the shower and hang on line, kids had to put on wet gear in the morning. Couldn't the laundry use same key as bathrooms? Friendly arrival... rude departure. Room was great. View was great. One problem was the bird right above my head in the guttering at 5.50 am hopping from end to end picking up bugs. Both mornings! Would suggest laying gutter brush to eliminate problem. Very pleasant, enjoy the beach and the camping environment. This camping ground, which is in a prime location, is being eyed by greedy interests. This camping ground should be saved for all generations, not just the wealthy. The Auckland District Council need to stop looking short term and look long term and preserve this are as a camping ground. 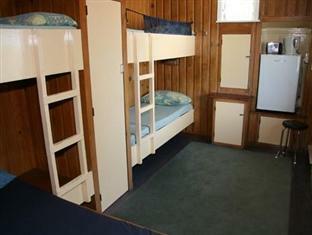 Self catering cabin/unit - spacious, light, surrounded by gardens and the beach 30 metres away. All facilities provided and great places to eat or buy for self catering nearby. Loved our stay - staff very helpful and friendly, quiet - great sleep, bought fresh avocados from the camp office, large cabin/unit with breakfast table, well equipped kitchen, large bathroom. Perfect for families or couples wanting to stretch their dollar while enjoying a million dollar location on Takapuna beach. We got the cheapest caravan for 2 nights. It was very old and abit dirty. You have to pay extra if you want linen (bedsheets and 2 towels) which I think should be included in the price or atleast make the customer aware before they book! Caravan was from the 1960's. 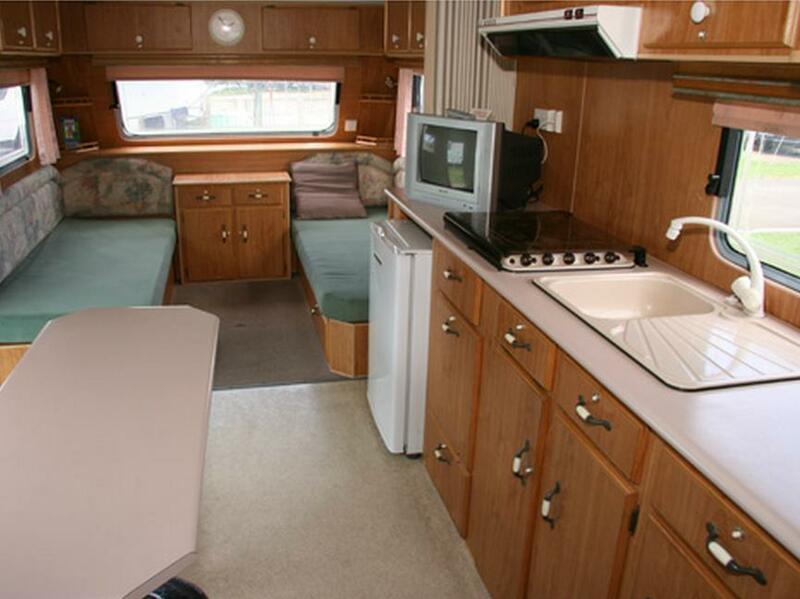 We had a great time staying in it but if you dont like roughing it I would suggest paying a bit more and getting one of the bigger, newer carvans on site. We purchased internet (which is not included at all) and it didnt work. The very old box tv needed some settings changed to work. You have to use your key to get into the bathrooms. Its to stop beach goers using them. In saying all that, we were right on the beach which was amazing! We took wine down everynight and sat on the rocks looking at the stars and listening to the moon. We went swimming in the daytime and explored the shops up the road. The cafe on the edge of the carvan park does great coffee. Definitly recommend staying here!! It was alot of fun! Long distance to toilets and showers plus you need your room key because it's locked at all times to make sure people outside the park cannot use it. No mirror in the unit and no washing up liquid either. Noisy fridge! Very very old, basic dirty room that needs lots of TLC!!! Btw, that goes for the whole holiday park!! The very old cabin that we stayed in was disappointing as it was not advertised with No bathroom. The Park location is fantastic and the staff were very pleasant but the old cabins need closer toilet facilities. This is for the family cabin. The building is very old & tired. There was no power on and the cabin is too far away from the bathrooms for children. No childrens activities or equipment.. We also booked a motel unit which was very good. Small unit.but cleanliness was very good. TV very small ..the bathroom was really good. Caravans listed as deluxe aren't what you may think. Very old vans thst look shabby, worn out seats, ripped carpets, rusty hobs, missing light fittings, rickety table and grubby curtains will great you. No smoke detector either. If you ignore the word deluxe you will have a good stay, the vans have a chemical toilet, full size fridge and a microwave, equipped with pots, pans and cutlery. A fantastic location, fabulous views and good on site kitchen and washrooms. Friendly reception staff. If you are 20 and don't mind one step up from tent camping, this your place. But two active grandmas were less than pleased with common toilets and showers.Units were dirty and in disrepair.We checked out 1 day early and are waiting on a refund from Agoda. Caravan was dirty - floor hadn't been swept. Bed had not been made properly. No salt and pepper. No blind over door. 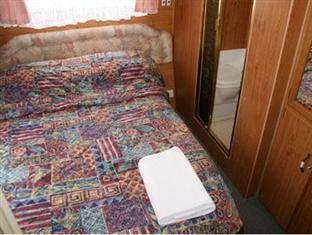 No toilet paper in 'ensuite' caravan. No soap in toilet block and no paper towels in container - hand dryer did not work. Spare bedding thrown into cupboard along with towels - couldn't tell what was clean and what wasn't. Frequent stayers but never again. Complained to staff on leaving - not happy paying full price for this but apparently boss not there so no reduction possible. In fairness the staff were very friendly and helpful. Gave us a very late check in. But that was the only good thing about staying at takapuna. The caravans windows were broken and had previously been secured. It was damn, mouldy, cobwebs everywhere & ants. It rained and all of the roof lights leaked. There was a wet cloth in the kitchen cupboard and another window would've been great. Otherwise very happy. Nice view too and handy to everything.